Her boss pointed upwards with one finger and then walked away. “Was this to tell me I’m number 1?”, Tiffani thought. Tiffani looked up, to see what her boss was pointing at. The carnival tent that she had created was magnificent and included thousands of lights. But right above her bosses finger, she saw it. Her stomach dropped. Out of the thousands of lights that she had set up, all her boss could recognize was the one that didn’t turn on. As a teenager in her first “sales” job, this was a tough pill for Tiffani to swallow. Tiffani’s learned a lot since that day decades ago and is on the forefront of Sales, Marketing & Customer Experience in the world today. She is the Global Customer Growth and Innovation Evangelist at Salesforce.com, podcast host of “What’s Next?”, has given 300+ keynote presentations and is the author of her new book: “Growth IQ”. Despite that grocery list of accomplishments, she believes a lot of the fundamental traits she has developed came from those days as a “carny”. The lesson from the lightbulb incident? The Navy SEALS have a mantra: “slow is smooth and smooth is fast.” What’s great about these philosophies is that they’re really scalable: they work in sales, writing, business, relationships and washing your dishes. Take the extra minute to do the job the right way. Have pride in what you do. You’ll increase your skills and your reputation will reflect that. 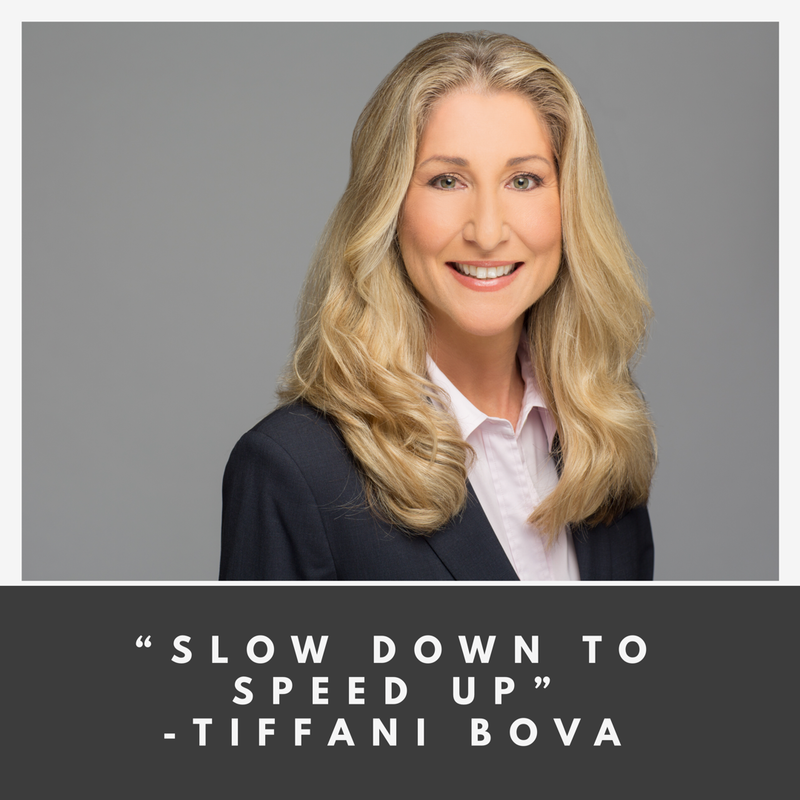 I loved having Tiffani come on the podcast to talk about sales, time management and how millennials can maximize their growth.